Roni Mahler, ballerina, trained by the renowned Madame Maria Yurieva Swoboda. She performed principal roles with American Ballet Theatre and the National Ballet of Washington D.C. after beginning her career as a teenager with the Ballet Russe de Monte Carlo. Ms. Mahler’s New York City teaching credits include The Alvin Ailey School, Ballet Academy East, Ballet Tech, The Joffrey School and Juilliard. Ms. Mahler’s extensive repertoire has included Myrta in Giselle; Swanilda in Coppelia; Odette in Swan Lake; the Flower Girl in Gaite Parisience; and more recently, Juliet’s Nurse and Lady Capulet in Romeo and Juliet. She has also danced leads in Les Sylphides, Raymonda, The Four Temperaments and Serenade. 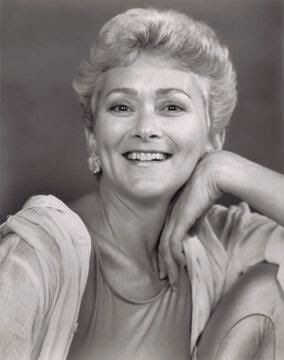 Roni Mahler spent six years as director of Dance at Kansas State University (1974-1980). She initiated their Dance degree program, co-founded and co-directed the KSU Dance Workshop, and was selected as an Outstanding Young Woman of America for the year 1978. She is the creator of a series of educational recordings and manuals devoted to ballet technique, as well as a program entitled “Ballet Movement For the Athlete” which she eventually customized for the Cleveland Browns of the National Football League. Roni Mahler is the recipient of many awards from dance organizations. In 1996, she received the first annual Roni Mahler Award, established by Kansas State University and presented each year to honor outstanding effort on behalf of dance in the Manhattan community. In 1999, the University named a new ballet facility the Roni Mahler Studio. Pianist - Dennis Buck. All dancers will enjoy and benefit from this thorough beginner ballet class by Roni Mahler. Musical selections range from Stravinsky to Gilbert and Sullivan, from Borodin to Eubie Blake.